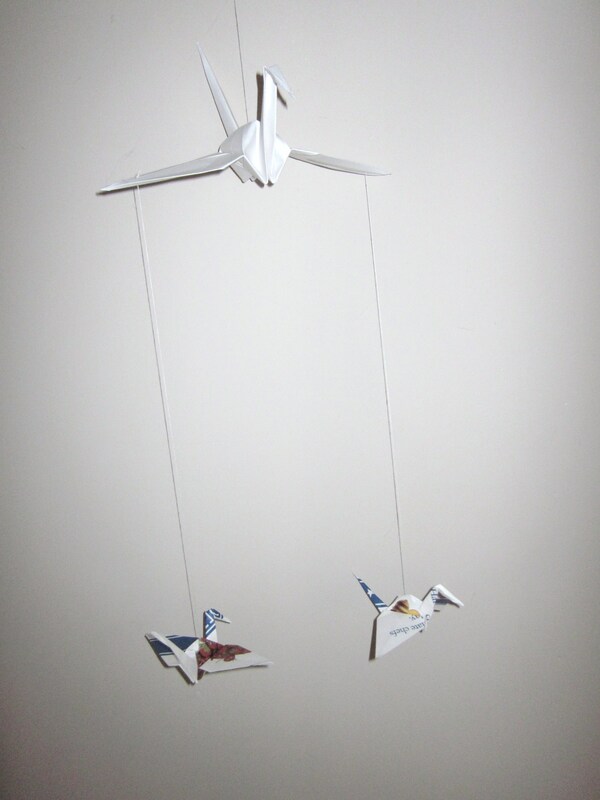 For a while now, along with making notebooks, I’ve been sat happily folding cranes of an evening and turning them into little mobiles. 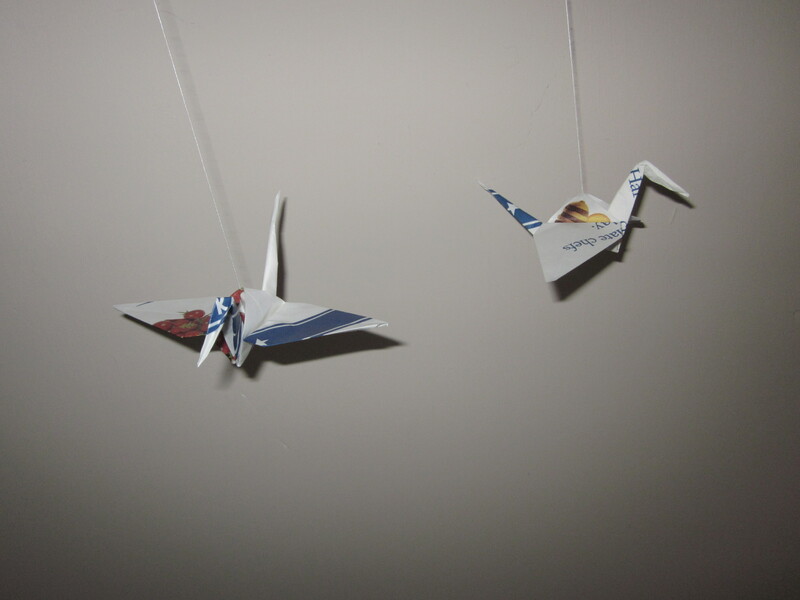 After having a clear out recently and discovering rather a large stash (who knows why) of paper shopping bags, I decided that rather than put them into the recycling bin, I would fashion them into paper crane mobiles. Ta da! I have found that the little sandwich bags from Prêt A Manger are particularly good. This entry was posted in Craft, Origami. Bookmark the permalink. Post a comment or leave a trackback: Trackback URL.